A bad witch's blog: Question: Magic or Street Art - What Do You Think? Question: Magic or Street Art - What Do You Think? 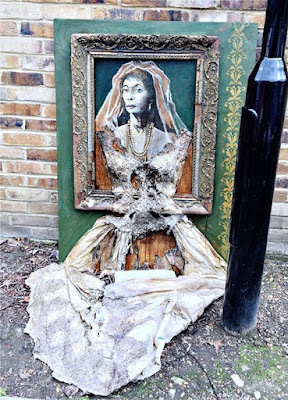 These were seen on the streets of Deptford, in South London, by a friend - the poet Cat Conway. 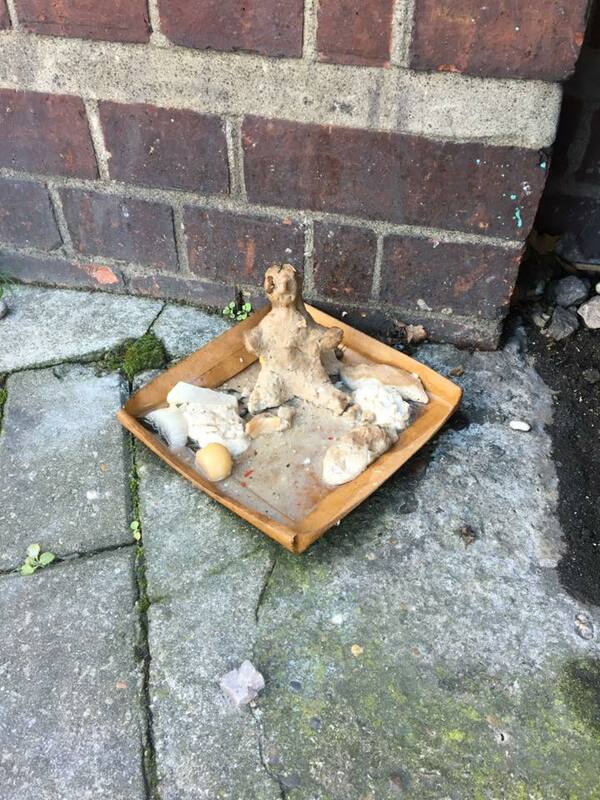 She sent me the photos and asked if I knew whether they were part of a spell, religious offerings or art. I replied that I wasn't sure. The one at the top could be some sort of curse against the person in the picture, but again it could just be street art. The one to the right looks more like an effigy with offerings, although it is hard to say for sure. Cat gave me permission to post the photos on my blog and ask readers what they thought. 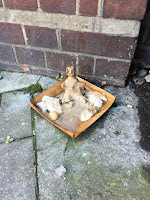 the smaller offering i am sure, it is voodoo, doesn't look like dark magic though.